This is a product guide to help you determine what kind of fire retardant plastic is best for your installation. If you already know what you are looking for, click the 'To Webstore' button above. Fire retardant plastic consists of two sheets of high strength, flame treated sheeting laminated together with a third layer of molten polyethylene. 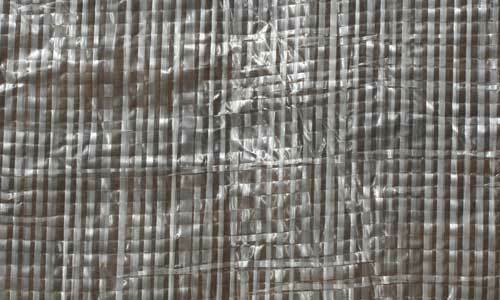 For string-reinforced plastic sheeting, a heavy polyester scrim reinforcement is placed between these plies to enhance tear resistance. You may often hear the terms “fire retardant” or “fire resistant” used interchangeably, but they do not necessarily mean the same thing. Most building codes recognize that a “fire proof” material is not realistic. Everything, at some point or another, will burn or melt. However, there are different degrees of fire resistance and retardancy that that can minimize potential damage. Typically, if a fire resistant material is directly exposed to a flame, static, or extreme heat, it will not drip or melt. A fire retardant material, however, is treated with special additives to self-extinguish after the flame source has been removed or extinguished, slowing the spread of a fire. Our fire retardant sheeting is tested against various standards using independent certified testing facilities. Each production run is produced using the same formula and certified again to pass the fire retardant standard. "Fire proof" is a tough thing to define, since virtually any material will burn, melt, or ignite eventually. For this reason, fire retardant plastic sheeting products are not “fire proof.” Fire retardant visqueen sheeting may burn, especially under certain circumstances, yet they pass the most strict fire retardant standards used in the building industry today. 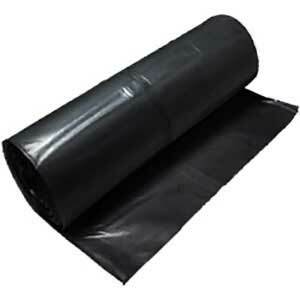 Standard (non fire retardant) polyethylene plastic sheeting burns hot and quickly, adding fuel to any fire. When our plastic sheeting is treated to become fire retardant, the additives interrupt the combustion process. The plastic sheeting then loses its ability to contribute fuel to a fire. Even if you were to deliberately ignite the fire treated plastic and watch it burn, the combustion rate would be significantly less than standard polyethylene sheeting without fire retardant additives under the same conditions. 4 mil white fire retardant plastic is a lightweight polyethylene sheeting imbued with fire retardant additives that pass standards for flame retardant fabrics. It offers low-cost protection for many applications in construction, theater, movie sets, haunted houses, and much more. Meet whatever safety standards are required for your application with this economically priced fire retardant visqueen. 4 mil black fire retardant plastic is used in haunted houses all over the US. It meets required fire code while also being economical, lightweight, easy to install, and an ominous dark color perfect for spooking. It is enhanced with fire retardant additives that pass standards for flame retardant fabrics in the US. It also can give low-cost protection for many applications in construction, theater, movie sets, more. Sometimes for temporary covers and enclosures, the dark color is desirable becauase it disguises the contents. Meet whatever safety standards you encounter with our economically priced fire retardant white visqueen. Sometimes, you need the strength of 6 mil fire retardant fabrics. 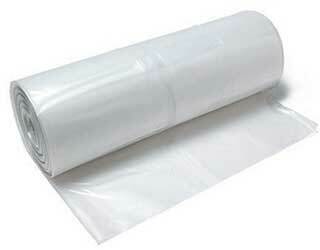 This is used as a vapor barrier in construction projects where fire retardant vapor barriers are required by code. It can be used in concrete, under wood floors, or between drywall and insulation. 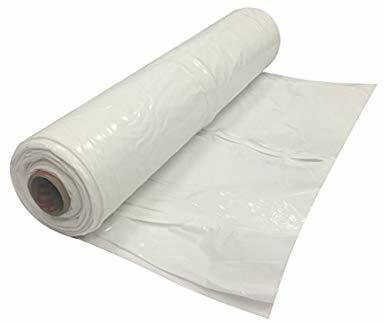 6 mil plastic sheeting is versatile and widely used for all sorts of projects, from abatement dust barriers in asbestos removal and mold remediation to crawl space liners. This version of 6 mil fire retardant plastic is reinforced with a string internal scrim. This makes it almost completely tear proof and ready for for heavy punishment from weather, wind, and time; lighter weight and easier to handle than its 10 mil counterpart. This is one of the most versatile and widely purchased plastic sheetings available and is used in mass quantities for large scaffolds and other temporary construction closures that require long term protection and heavy duty strength. Woven plastic sheeting is primarily used in scaffolding; the small holes between the woven strips allows wind to pass through, giving it a wind-resistant quality witout sacrificing any of its strength. It can be installed vertically using scaffolding wing clips. Woven visqueen is also used in landscaping and mulching for a similar reason. Sod grass roots and water can permeate the small spaces between the woven strips, while pesky weed trying to push their way up cannot fit their stems through the woven strands and are prevented from growing. Simply cut the woven plastic sheeting around the base of new plantings. 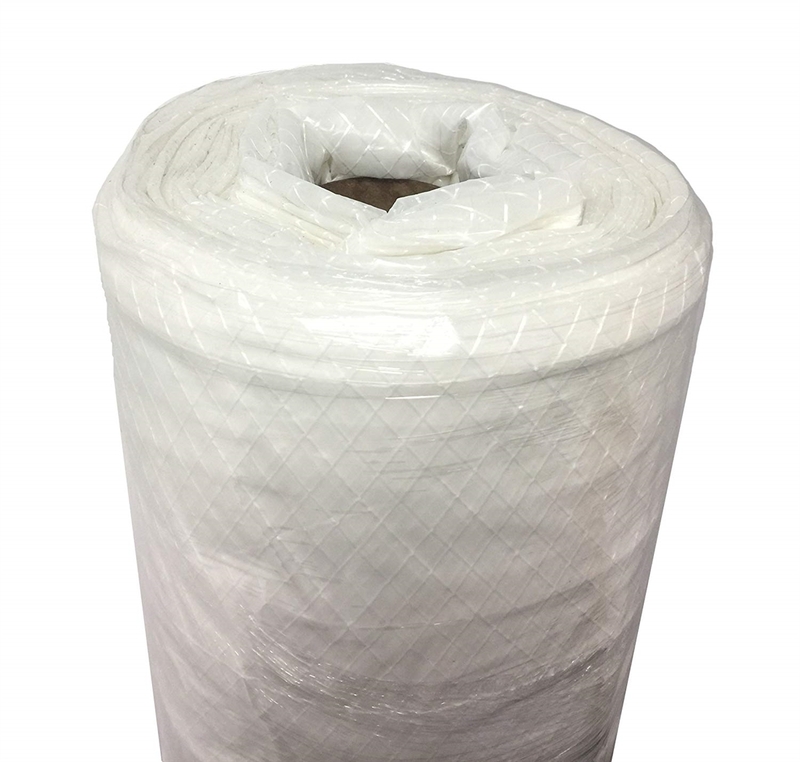 Woven plastic rolls are further improved with fire retardant additives for areas where scaffolding or other installations are required to be fire retardant. When top of the line strength, tear resistance, and heavy duty long-lasting toughness is required, it's time for 10 mil string reinforced fire retardant plastic sheeting. 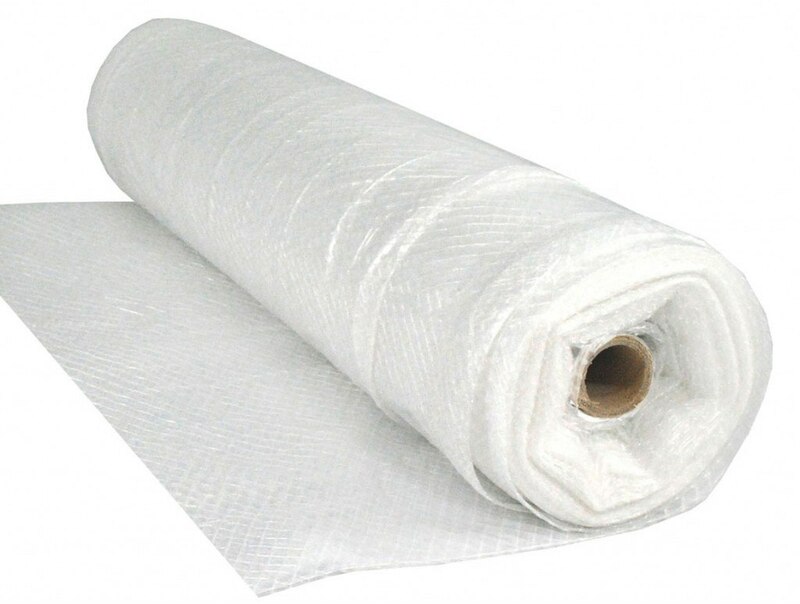 This is the toughest plastic sheeting we sell. It is fire rated as flame retardant anywhere that fire marshalls require that quality. The yarn scrim prevents any tear from continuing beyond the scrim which extends the life of the plastic. The clear color (made whiter from the fire retardant additives) allows sunlight to transmit through. It is flexible and easy to handle, durable and reusable. IT can provide containment for dust and debris, create a long-last impermerable vapor barrier, protection valuable equipment, construction sites, and sun rooms from weather. It can handle low temperatures without shrinking due to the scrim reinforcement. It is used for a wide variety of applications all over the world, from insulation membranes, to fumigation covers, to whatever your imagination requires. For landscape installations that will be subject to harsh weather or will need to stand the test of time by remaining maintanence free for years to come, you should consider our woven poly in the 10 mil thickness. This is used especially often in hot climates where eco-friendly, low water installations are desired. Hot climates like California also have stricter fire codes that may require the flame retardant additives present in this plastic. Simply cover the woven visqueen with mulch for an attractive, maintanence free landscape that will stand the test of time for years to come, saving you water, time, and labor. IF you want to put some low-water plants, simply cut out an area of the plastic for new plantings. The rest will hold its shape and remain as impermeable as ever.